When I visited Timelab in 2012, it was a organisation which was working with two distinct communities: international artists, and a mostly local community of ‘makers’. Since then, the Timelab core crew has taken a bold step further by radically changing the way they operate. The new organisational logic has been inspired by holocracy, alternative business development models, agile software development methods and various other concepts. This change has allowed many barriers to disappear – the artists and makers form one community instead of two, and there is a great amount of transparency in all the activities. 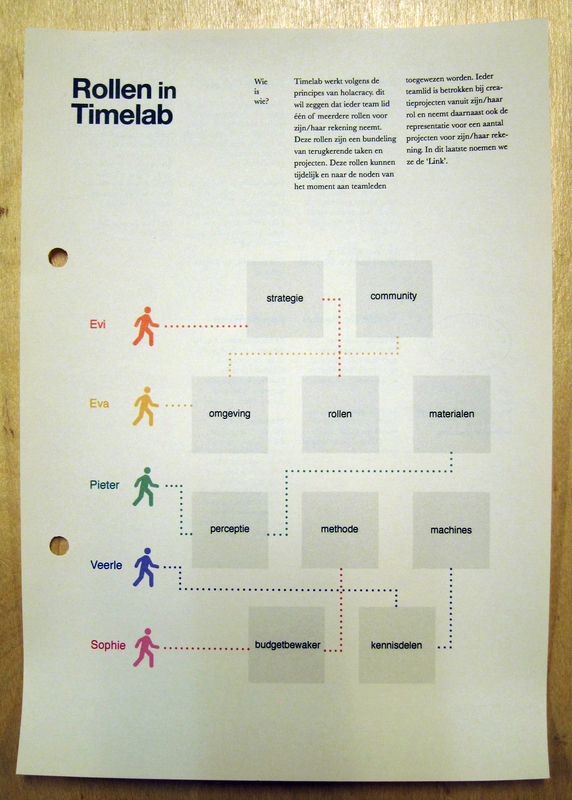 This blog post offers some glimpses to the way Timelab operates, based in the discussions I had with Eva de Groote and Evi Swinnen. 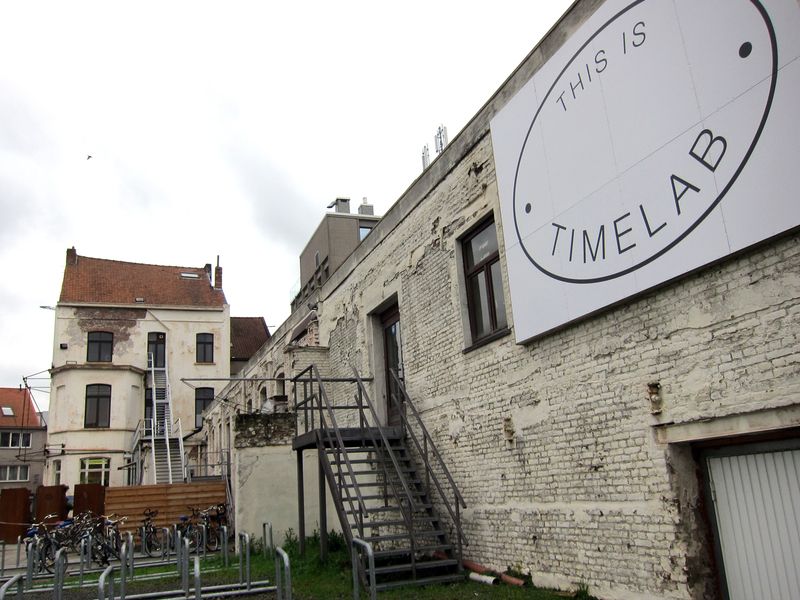 Timelab gives examples of small and big changes. 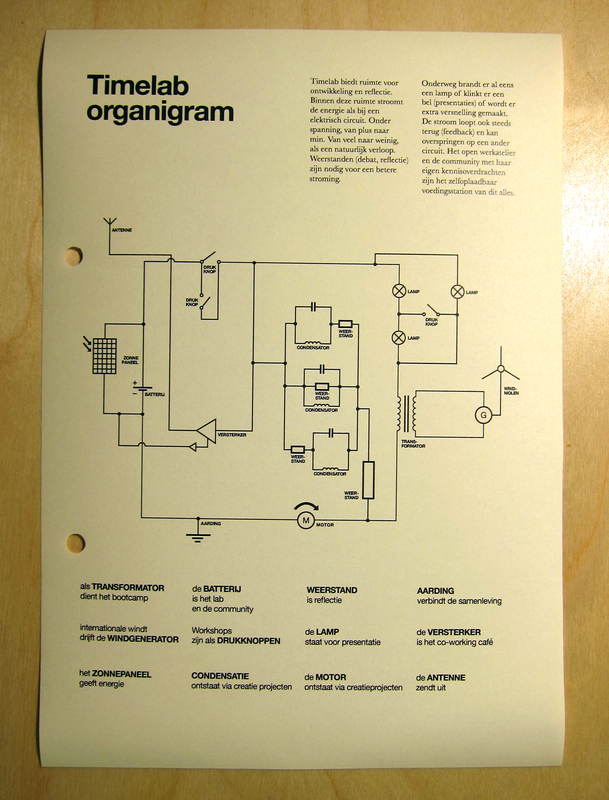 These inspire and trigger dialogue, and encourage development of new models. 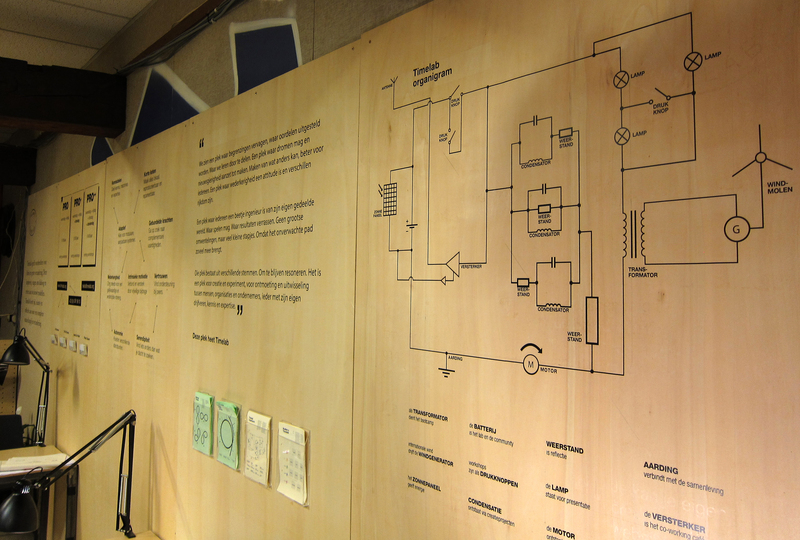 Timelab offers time and space for reflection on a complex society in transition. 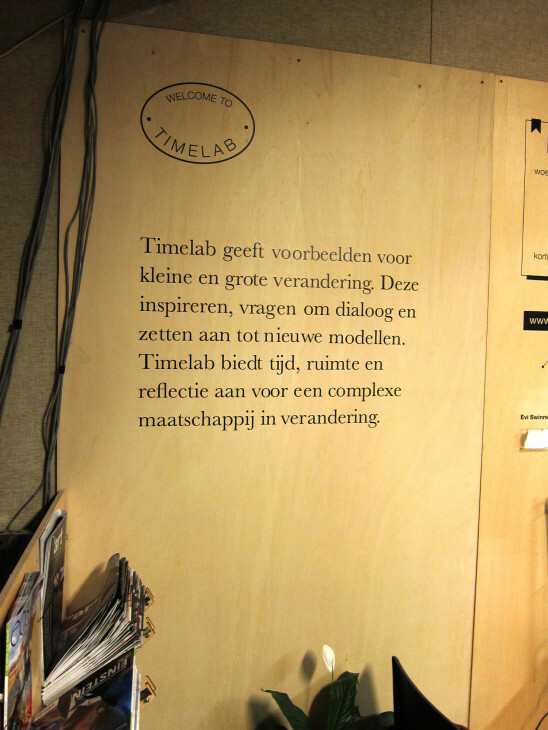 In dialogue with the members of the community, Timelab chooses topics to work with, and initiates processes to tackle these topics. The chosen topics should be such that they are complex, they bring people together from different contexts and backgrounds, and that they offer a rich space for reflection and innovation. The Clover is a method developed in Timelab, which can be used to evaluate and formulate new proposals for projects as well as organisations. 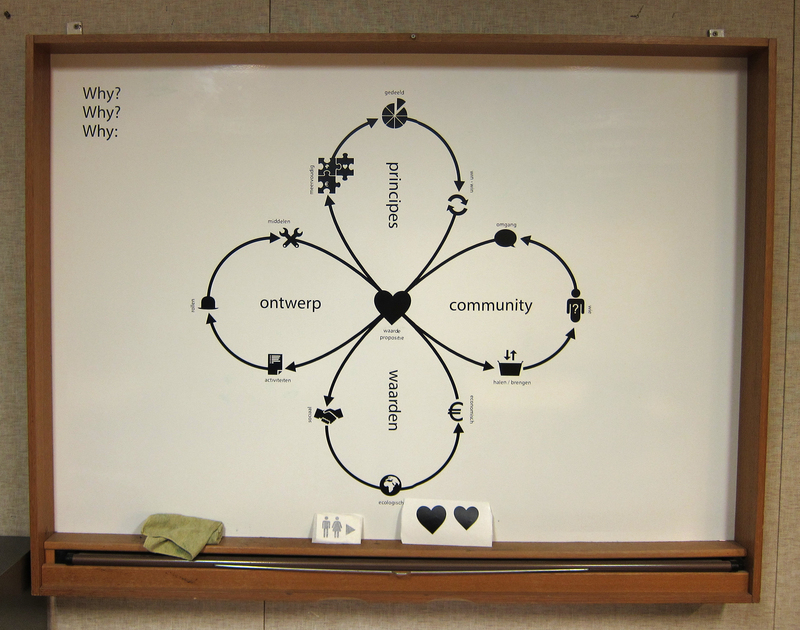 The four cycles which can be iterated several times are: Principles, Design, Values and Community. Instead of the traditional work titles and tasks, each staff member of Timelab has a specific role with a more holistic approach to Timelab’s activities. The project management has been inspired by the Kanban method, used in software development. 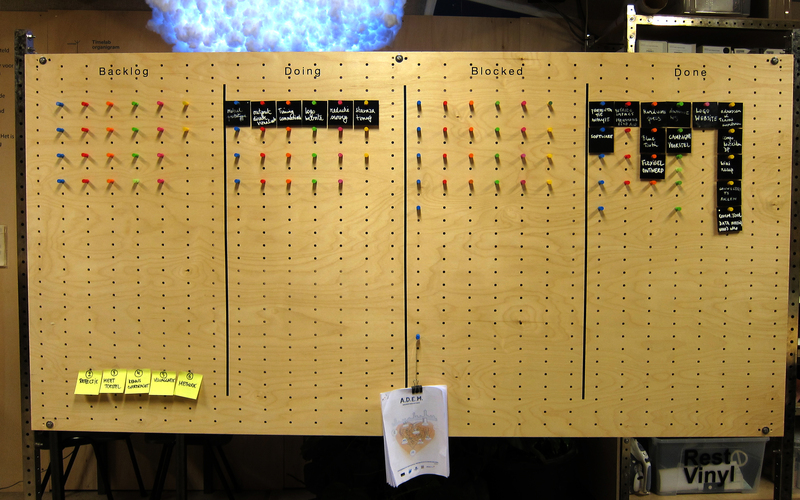 In Timelab, physical boards are used to communicate the current status of the project. 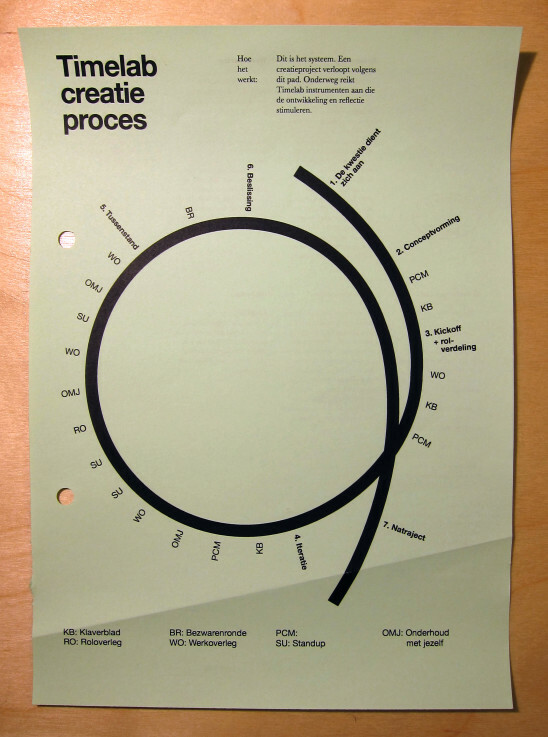 Progress is made on incremental steps – the focus is on the ‘next first step‘ (rather than on deadlines and budgets). As the images above make evident, the physical space of Timelab is extensively used to communicate information that enables everyone to be self-organised. 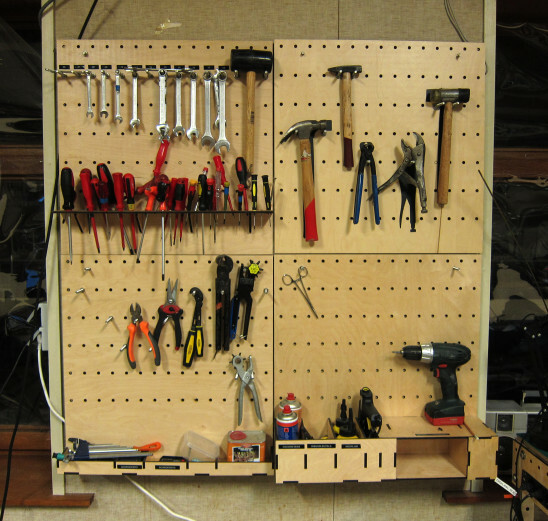 This approach is also used with the available tools in the space. 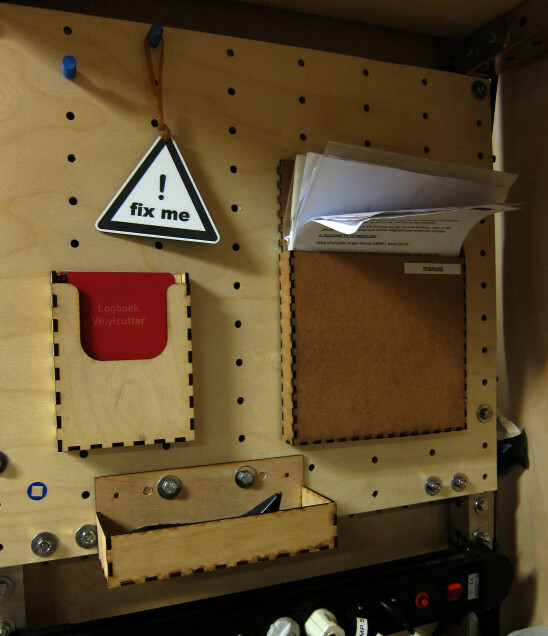 The tools are clearly organised, with manuals, and if something is broken then ‘fix me’ sign can be used. One thing that I don’t have a proper photo are the shared gatherings around food. 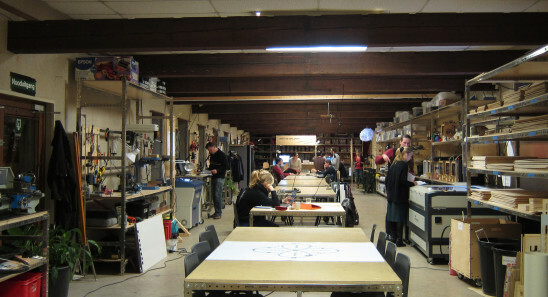 The space also has a community kitchen, and every day people get together to have lunch. 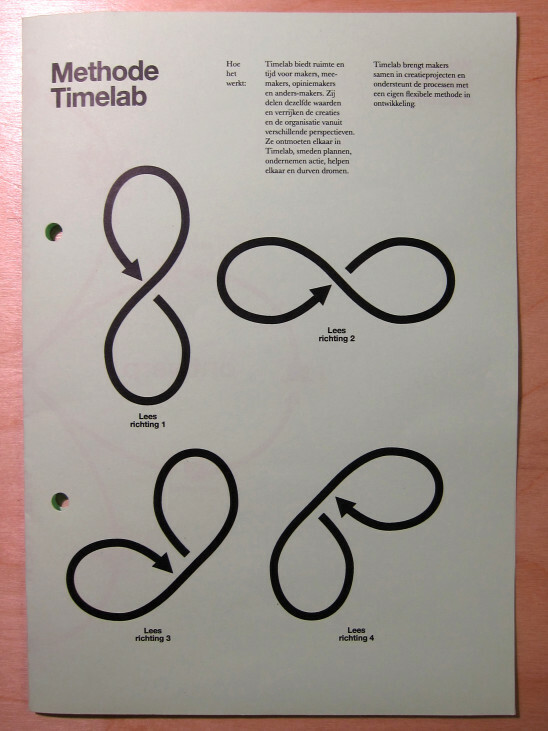 At the moment there is currently no instruction book available about the Timelab way of doing things and we’ll have to wait for that a bit I guess, since many of the methods described above are still under development. On the other hand, many projects are already moving ahead using these methods, and the staff seems content and enthusiastic about this new direction. 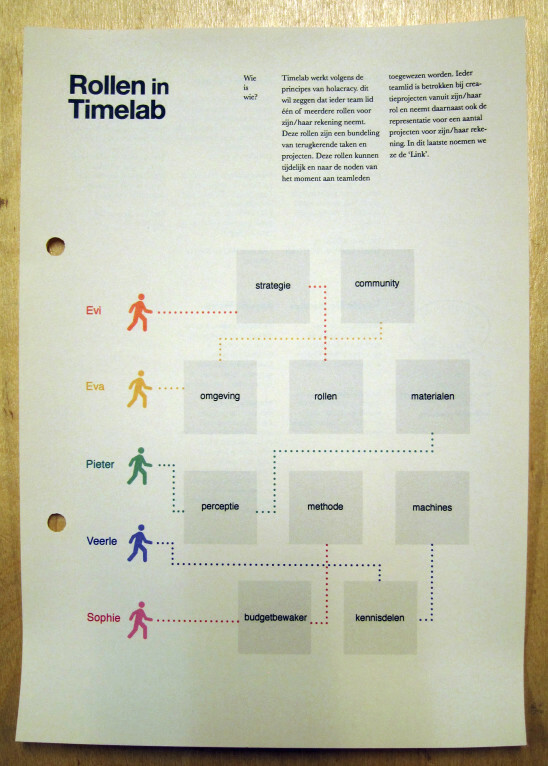 Many of the Timelab methods are a result of many years of research and experimentation, and the core crew offers assistance and consultation for other organisations (governmental agencies, NGOS, startup companies, etc) to use these tools. Love it! BTW, would love to eventually see this approach manifesting also on the level of the digital fabric / stack empowering the organization and the community.